يقع في نورث بورت دوجلاس, Le Cher Du Monde Hotel إنه المكان الأنسب لاكتشاف بورت دوجلاس و ما يحيطها. يمكن من هنا للضيوف الاستمتاع بسهولة الوصول إلى كل ما تقدمه هذه المدينة النابضة بالحياة. يضفي محيط الفندق اللطيف وقربه من With Sugar, شارع ماكروسان, Whileaway سحراً خاصاً على هذا الفندق. إن الخدمات الممتازة وحسن الضيافة العالي في Le Cher Du Monde Hotel تجعل إقامتك تجربة لا تنسى. لضمان راحة ضيوفه، يقدم الفندق الخدمات التالية: مرافق مخصصة لذوي الاحتياجات الخاصة, واي فاي في المناطق العامة, صف السيارات, التوصيل من وإلى المطار, مرافق للشواء . تنعكس أجواء Le Cher Du Monde Hotel في غرف الضيوف.تلفزيون بشاشة مسطحة, اتصال لاسلكي بالإنترنت, اتصال لاسلكي بشبكة الإنترنت (مجاني), حوض الاسترخاء, غرف لغير المدخنين هي بعض الميزات الموجود في العديد من الغرف. يقدم الفندق مجموعة رائعة من الخدمات كمثل مسار جولف - ضمن 3 كم, حمام سباحة خارجي, حديقة, رياضات مائية (غير آلية)، لجعل إقامتك تجربة لا تنسى. يحظى فندق Le Cher Du Monde Hotel بموقع ممتاز وخدمات يصعب منافستها. Loved the room, location and owners. It is noisy in the mornings from about 6 am with bin collection and leaf blowers. This may not suit some people but I am sure is a common problem for all accommodation that fronts the main street. It would not stop us from stopping at the Le Cher Du Monde. Port Douglas is a great place for a holiday. The staff are really lovely, the room was very spacious and clean. the only reason we wouldn't stay again was for the noise. Had apartment 5, balcony faced the main street. 7am each morning the street sweeper and man with blower vac started. we were after a quiet break, ended up out the door every morning early because of the noise. The rooms not facing the road may be better. Can't fault the complex in any other way other than the noise. Hi Kalea, Thank you for your feedback. Unfortunately the noise is out of our hands as it is the council. By all means please pass on your feedback to them as well. This affects every one of the resorts on Macrossan st.
Room are not serviced on a 4 day stay, so bring your extra dunny paper! wifi is limited to 2 devices @ 500 mb maximum per day so keep that in mind , the property itself is well maintained and the owner/ manager "rob" is good value and has a good knowledge of the "top end". Port Douglas itself is overpriced @ restaurants and some bars, (They need to realise that they are not Monte Carlo) 4 mile beach is still a lovely place to stroll. 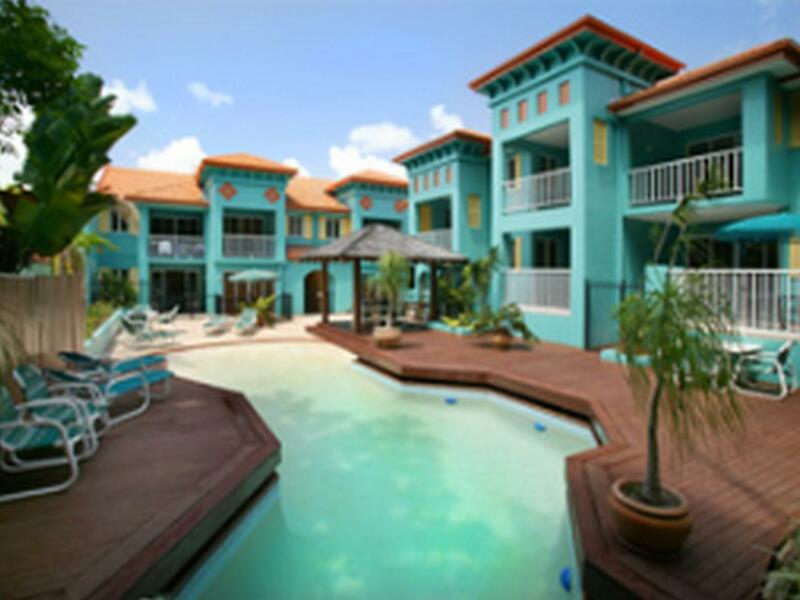 Very central location, friendly reception staff, apartments well equipped. Ideal for both single travelers or couples. We were confirmed for our stay by the la cher du monde for 2 adults and 1 infant child. Upon arriving the owner abruptly told us that they do not accept children to stay, and repeated it three times. He made us feel extremely uncomfortable. He did accept us to stay the week. We did not enjoy our weeks stay. However we felt so uncomfortable. I think the property should pay closer attention to the booking request from the booking companies before confirm the stay. Hopefully no other families will be made to feel so uncomfortable. Considering we were charged over $200 extra for our infant. We should have been welcomed better. It was our only bad experience in beautiful Port Douglas during our stay. 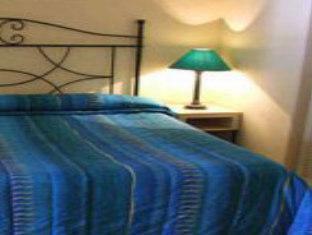 Excellent accommodation for couples in the centre of the town. This apartment style hotel was really roomy. Nice kitchenette and dining area. Separate living area. Recently updated. Each unit has a balcony or patio. Our room overlooked the street, but it's such a quiet street, sitting on the balcony was fine. Bed was comfy. Pool area very nice. We made use of the BBQ one evening. Easy walk to most everything. Can't say enough good things about Le Cher du Monde and Rob the owner. Only suggestion I have is to let you know that if you are considering the shuttle or renting a car to arrive from Cairns...I would suggest that you really don't need a car - so go with the shuttle option which is extremely convenient. Rob was most helpful and informative and the apartment was well set up and in perfectly central location. The pool was great too. We had the most fantastic time and hope to return as soon as possible. Our stay was made effortless with Rob's care and advice. Le Cher du monde is in a central location. We would definitely recommend it to everyone who visits Port Douglas. Number 1 was Rob, the owner. Very helpful and friendly. He booked 2 trips for us and both were fantastic. We were just finishing a 3 month trip of Australia and needed space to organize and re-pack. Rob even took items we no longer needed to charity for us. Loved being right downtown. Handy to shopping and restaurants. The underground parking was a great asset too. The room and view of pool were perfect. Laundry room was very clean with modern machines. Thanks Rob. We hope that we can return sometime in the near future. Rob the owner was very welcoming and friendly, it had a great little pool area and the rooms were quite big, clean with a good size balcony also. Le Cher Du Monde is perfectly located - right in the middle of all the Port Douglas shops and restaurants and a stone's throw from the beach with the marina a short walk. I immediately felt in holiday mode when I walked into my apartment with it's terrace looking out onto the pool. Very peaceful too, even though you are in the centre of things. Staff were welcoming on arrival - Rob, the manager, offered to book tours and also organised airport transfers. The room was very clean. Being a serviced appartment type hotel, it's only serviced once a week, which was absolutey fine because who really needs staff coming into your temporary abode everyday. I thought it was perfect for a solo traveller and I would stay again. We thoroughly enjoyed our stay at Le Cher Du Monde. The room was well very comfortable, we had a room over looking the pool. Le Cher Du Monde is In the heart of town which was very convenient but our room was really peaceful. Robert the owner could not of been more helpful and when it came to booking day trips made the experience trouble free by placing the bookings for us, we have no hesitation in recommending Le Cher Du Monde.